This holiday season, why not get a mineral every day instead of chocolate? Today’s mineral is Galena find out more about it below..
We are getting towards the end of the Mineral Advent Calendar now so your final preparations for a couple of days filled with family, friends and celebrating must be nearly done. Today is the Winter Solstice, so if you have been celebrating already then Happy Midwinter!! There are many things that you can use to celebrate the time of year, but one of my favourites is crackers, and crackers depend on one thing to make them go bang! Do you have your crackers yet? And that one thing is silver fulminate. It’s the chemical used on the strips of crackers that makes them pop as you pull them apart, a delightful mini-firework for your kitchen table! In order to get silver you mine it directly (as in Day 11) or you can mine something with a lot of silver in it, and that is our mineral today – Galena! 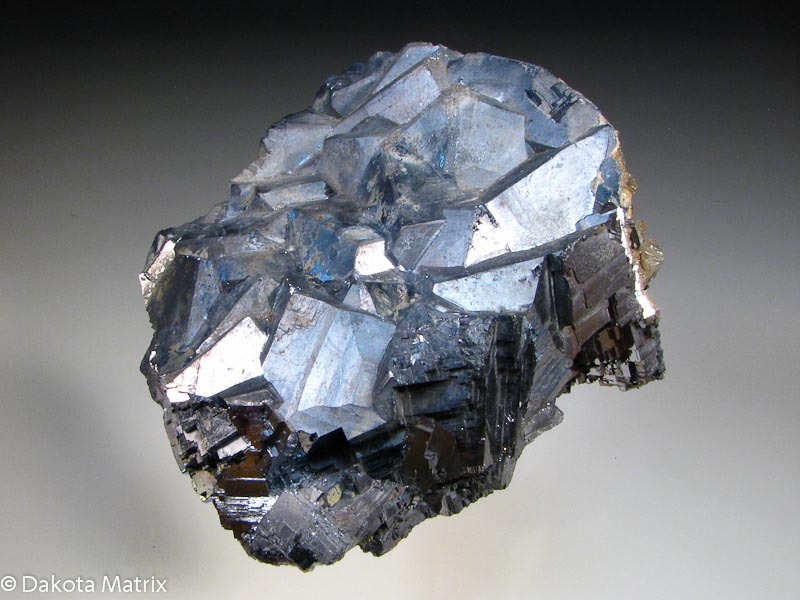 A lovely big lump of Galena from Dakotamatrix.com. But the best identifying feature of Galena is it’s density – it’s unusally dense! Ok I’m starting to think this is my computer now, so as soon as I can get a version of the map to work I will upload it, but needless to say you can find Galena in the UK, to find out where check the locations list on the MinDat website. 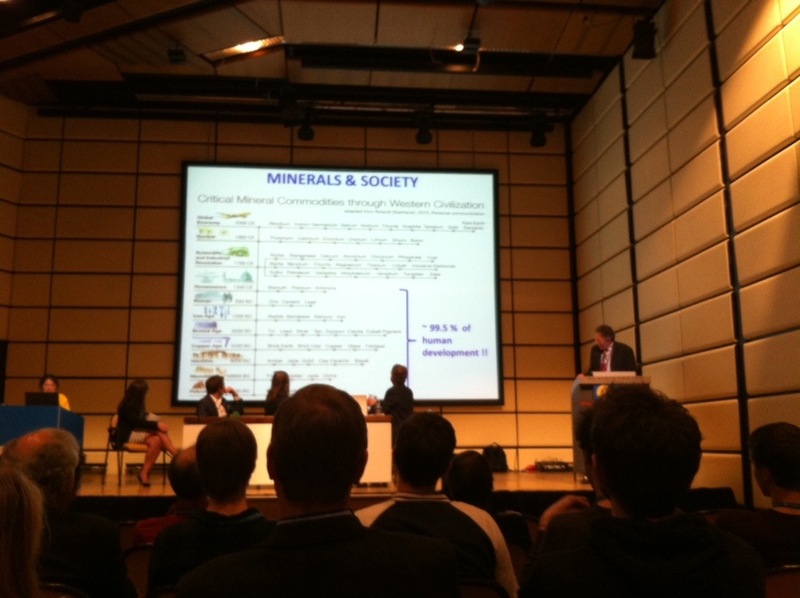 For more information about Galena please visit the MinDat website. Day three, one of the quieter days on my schedule meant I could a) relax a little and b) go looking for sessions I never would have thought of attending. 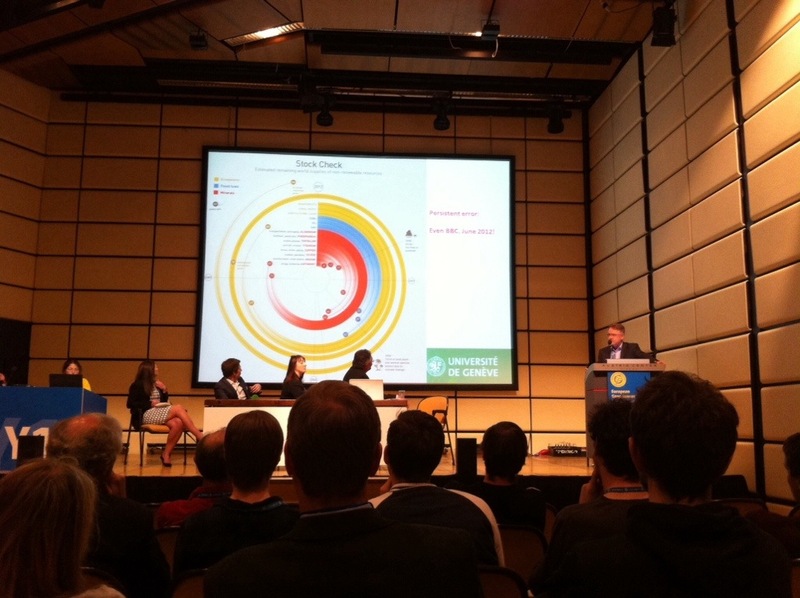 I started the day in Citizen Empowered Science and Crowdsourcing in the Geosciences (EESI1.8/EOS6) the second half of the session I attended yesterday. 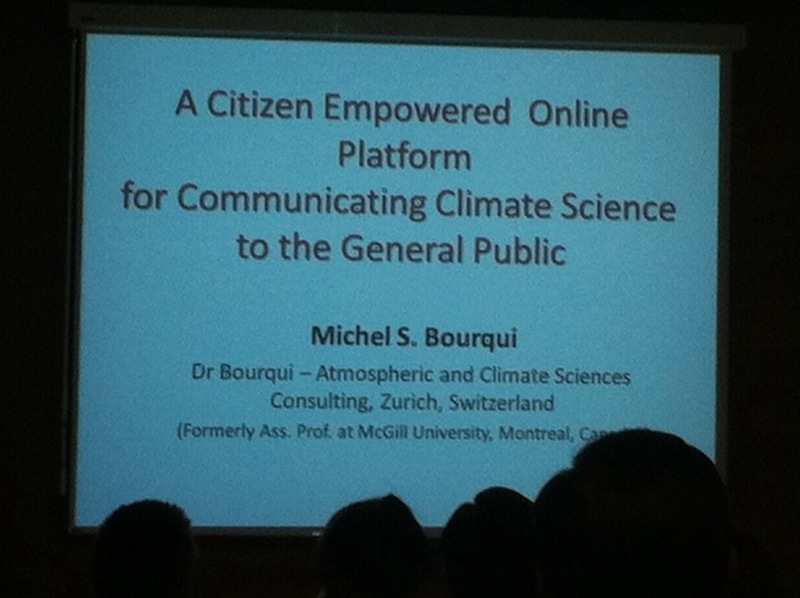 There were a couple of interesting presentations, including a plan for a citizen controlled platform for communicating climate science, but I often feel like the geoscience community is teetering on the edge of just accepting Citizen Science as a valid method of data collection, but right now they are still a bit unsure. 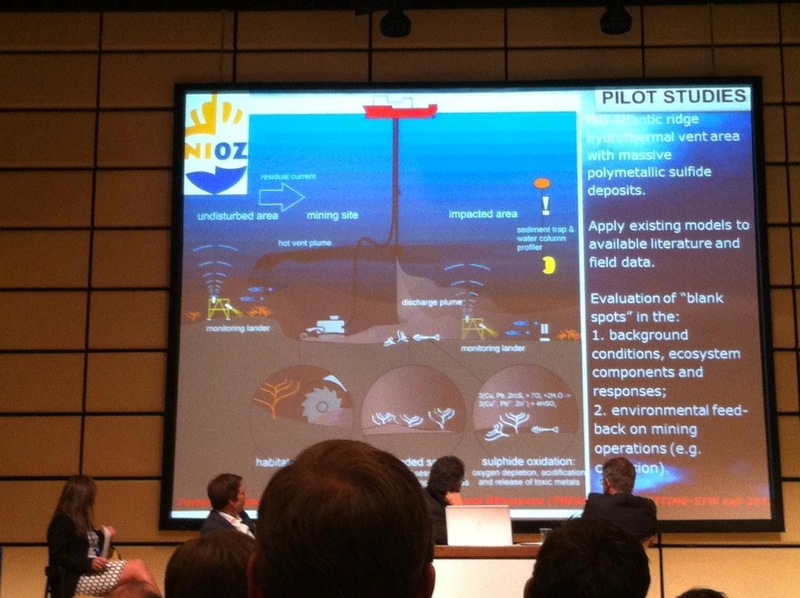 As such the presentations today came across as enthusiastic but uncertain. I really liked Simone Frigerios presentation of ‘MAppERS: a peer produced community for emergency support’, partly because he said that we need to stop seeing communities at risk as victims, but instead as resource for disaster prevention and mitigation. Another project that I liked was Nuria Castell’s initiative ‘Building and Evaluating Sensor-based Citizens’ Observatories for Improving Quality of Life in Cities’. The project has set up citizen observatories (called CITI-SENSE) all across three target cities, Oslo, Ljubljana and Vienna. The great thing about these observatories (just sensors really) is that most of them do more than just one thing. They record air pollution (levels of O2, CO etc), wind data, UV and noise. There is also a link to an app that allows people to record how they feel in a place so the project results in a much more representative picture of the quality of life in these cities. 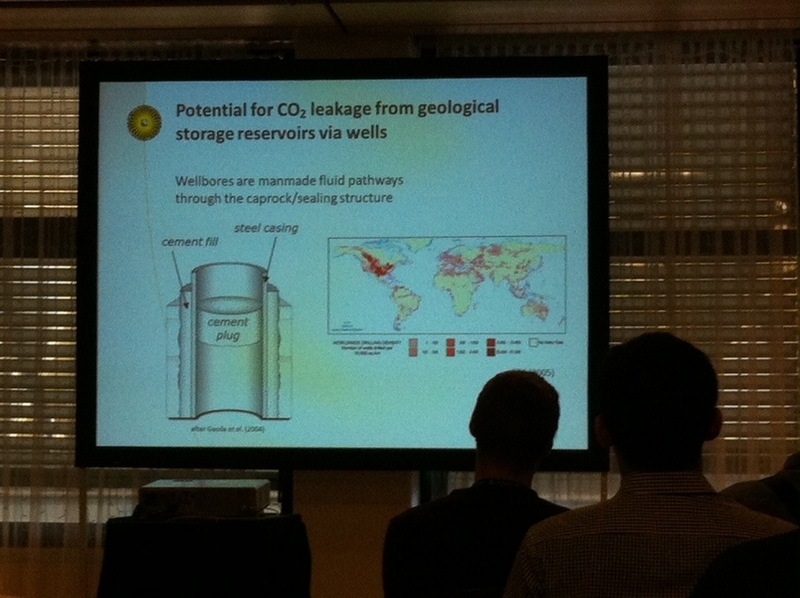 I also attended the session on Long-term Storage of CO2 and the Petrophysics of Unconventional Hydrocarbons: Results from Laboratory Studies (ERE2.2), which covered topics like carbonate dissolution and how to prevent CO2 leakage from a well and listened to a talk on ‘An Experimental Study of Basaltic Glass-H2O-CO2 Interaction at 22 and 55 degrees C’ and saw an extraordinary outburst from one of the audience, who at the end of the session said that the timescales were not big enough to make the results relevant and called it ‘trivial research’. Now this seems to have arisen from the fact that this researcher was a computational modeller and the young scientist presenting was a physical or experimental modeller, so instead of running a computer simulation that approximated 1000’s of years, she had actually done the experiment in a lab over a period of months instead. It highlighted to me how some scientists get so buried in their own method they resist any other method. Even though the moderator came to the defence of the young scientist by highlighting that computer models could not be run without the data from shorter term experimental models, the questioner appeared to remain firm in her dismissal of the work. Which just made me feel a little sorry for her, that she was so closed minded that she couldn’t see the value in other people’s work. Gillian Davidson from the World Economic Forum. 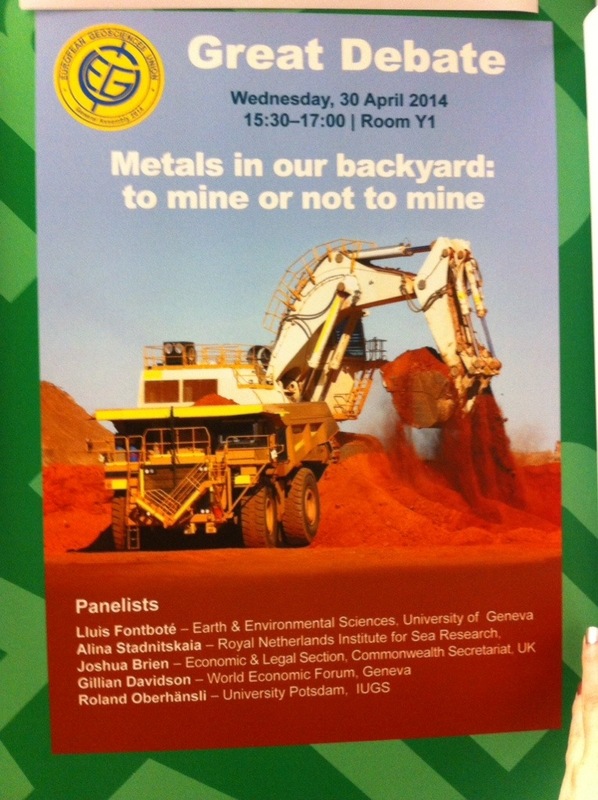 Now although the panellists were great and the subject was right up my street, because no one was really against mining in Europe it was pretty much impossible to get any kind of debate going. What I didn’t understand is why no-one from the environmental community was willing to engage in the debate? 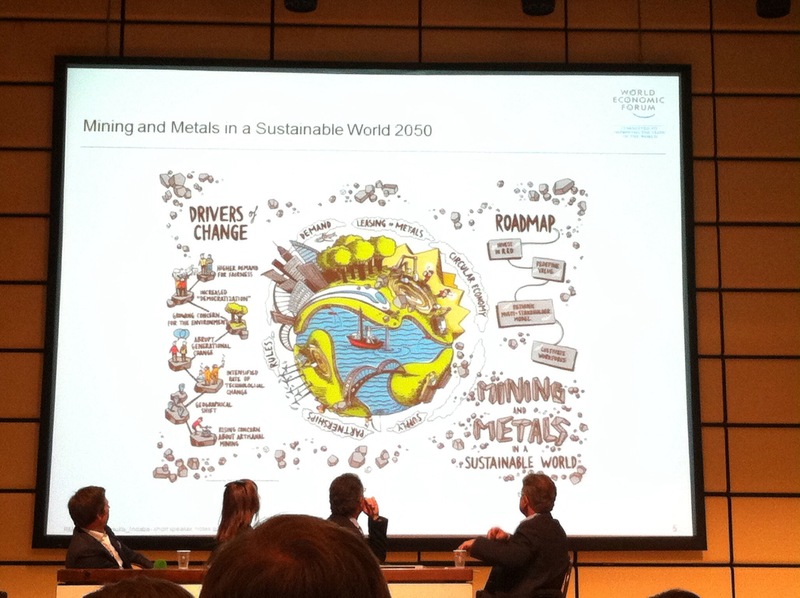 If they really want to affect how mining is done, surely the way to do it is to go at it from the inside (how can we change our minds when we don’t even know what they think)? So much so that, apart from some interesting slides that I have included below, it was really a debate that wasn’t a debate. So, all in all a quiet day. 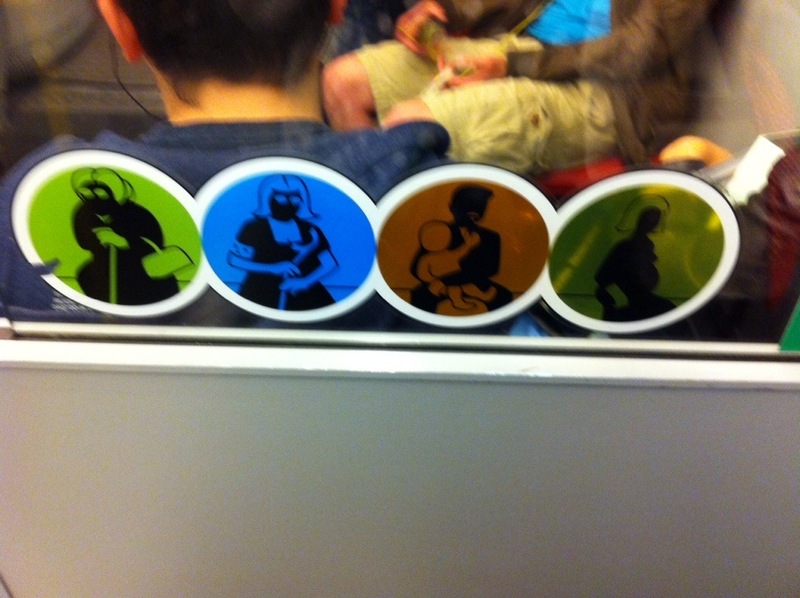 For a closing image – check out the world’s creepiest tube train signs!